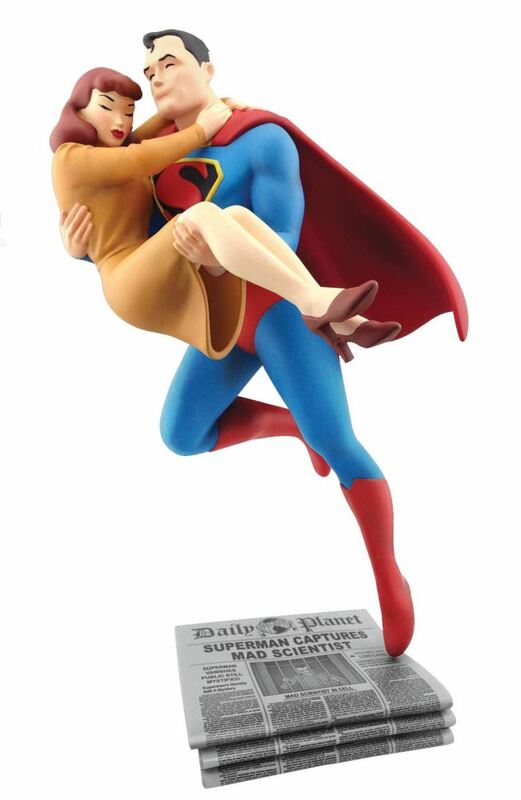 Inspired by Fleischer Studio's animated shorts of the '40s, this statue captures a tender moment between Superman and Lois Lane. Superman is touching down on a stack of Daily Planet newspapers that feature front page headlines from the very first episode where he thwarts the Mad Scientist's evil plans. A must for every Superman enthusiast, this polyresin statue is 9 1/8" tall x 5" wide x 5.5" deep and is packaged in a full-color box. Sculpted by Varner Studios.